You want your LS6 or LS2 CTS-V to sound, perform and look good. 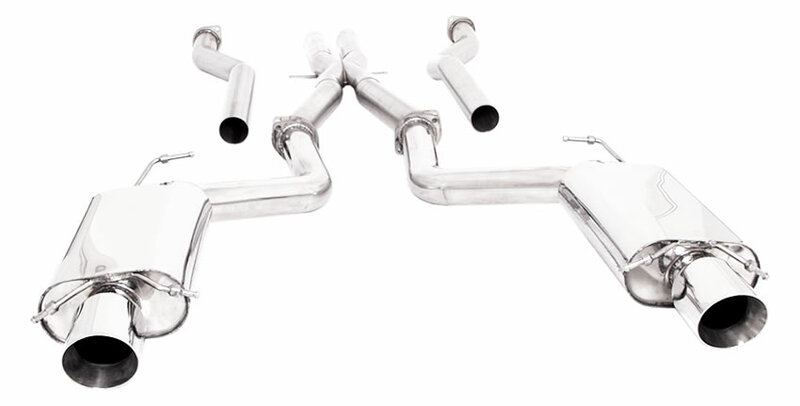 Corsa exhaust is the only high performance drone free answer. Get quality craftsmanship and sound without the drone some other catbacks come with. Classic good looks and always built with 304 stainless to shine bright and last forever. All Magnaflow systems have a smooth deep tone. 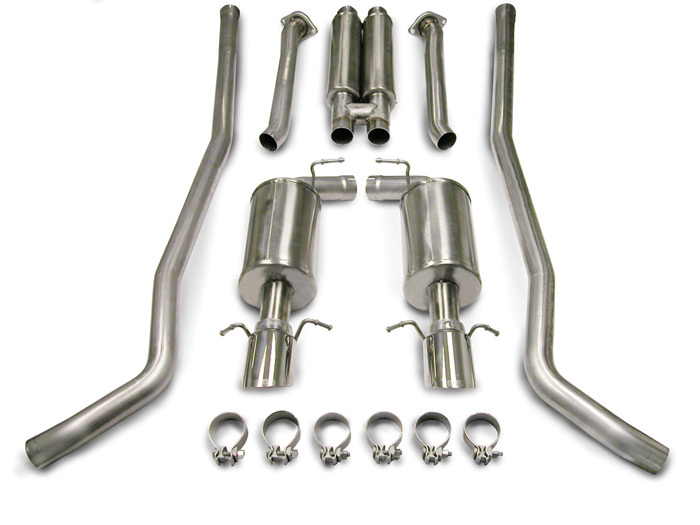 They are 100% stainless and all mufflers and tips are polished for a great look. They have systems to suit every CTS-V drivers needs. From a nice upgrade from stock to sounding like a beast. You get to choose. 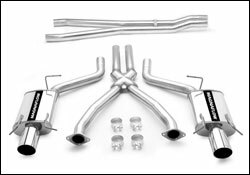 Stainless Works has the headers or catback you need for your CTS-V. Made with only high quality stainless steel to last forever and look amazing. Top notch power gains, quaility craftsmanship and cool custom systems all at a reasonable cost. Give your LS6/LS2 CTS-V a muscle car rumble second to none! B&B Exhaust understands that the CTS-V is a Cadillac and a Corvette at heart! They have designed several exhaust systems that give you deep muscle car sound that is respectable while cruising and nasty on the throttle! This will let everyone know you'r driving the LS6/LS2 V-series and not some other base model! B&B also has high flow cats and long tubes for 40+ rwhp gains!